If you want, you can purchase the Serval controller separately, but it’s been priced at an eye-watering $79.99. On the other hand, you can also use it for gaming on your Android mobile device, and it even has a phone clip included. So it’s not limited to serving as the controller for the Forge. The standalone Forge can be had for $99.99 elsewhere, but since it doesn’t have a remote it requires a smartphone app for control. 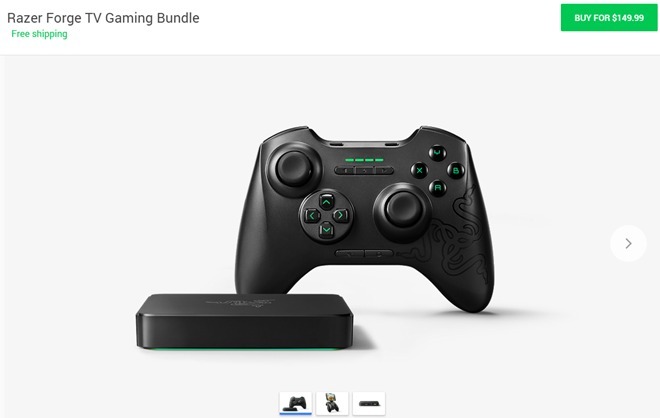 The Razer Forge TV definitely seems to be more capable in the specs compartment compared to Google’s own Nexus Player. Then again, the Nvidia Shield is currently the best performing Android TV console out there, so maybe it’s worth shelling out a bit more for that.